A certified organic and Fairtrade cotton spaghetti top from Mighty Good Undies. The spaghetti top features thin, adjustable straps, and a flattering neckline. Available in white, black, or grey. Available in sizes 8-22 - see size guide below. Chetna Organics: work with 35,000 small scale farmers throughout the Rain fed regions of central India. 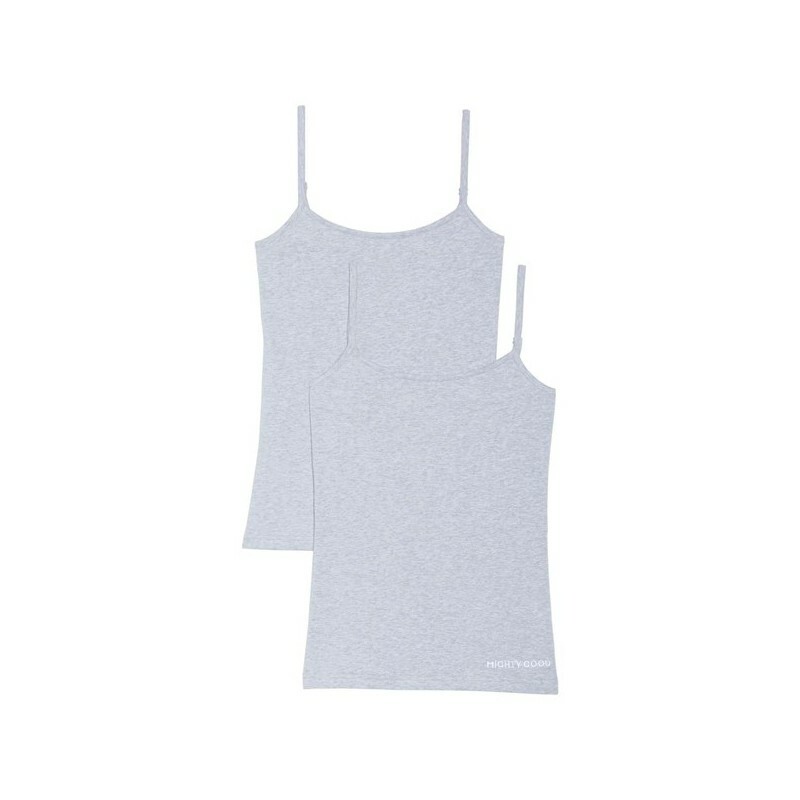 Comfortable spaghetti top, with thin, adjustable straps. Choice of white, black, or grey colour. Cold machine washable; extend the life of your top by washing it in a laundry bag. Mighty Good Undies suggests giving your garments a second life by turning them into cleaning rags, using them as stuffing for cushions and toys, or knotting them for use as pet toys. Alternatively, take them to your local textile recycling depot.